Hilton Parkes Real Estate Why Hire Real Estate Agents in Plumpton Before Buying Your Dream Home? This is an important and exciting time in your life. So you need to do some basic research and it’s easier than you thought. This will also increase your confidence and reduces the chance of making a mistake. 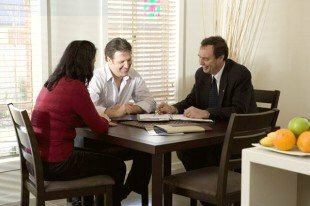 Most people start off with finding out about real estate agents in Plumpton who can help them buy the property they have in their mind. It’s important to understand the process of buying property in Plumpton. Hiring a real estate agent in Plumpton makes it much easy for you to buy your dream home. You need to understand all the alternatives available to you before making your choice regarding your purchase of real estate property. Talking to several real estate agents in Plumpton as well as a finance adviser is essential. There are two options available to you when organizing finance. You can apply directly to a finance institution or you can use a broker to help you through the process. In addition to the purchase price of your new real estate property, there are many costs associated with home ownership. You will need to pay for things like Stamp Duty (on the purchase price of the property and the loan amount borrowed), conveyancing fees and possibly mortgage insurance. Stamp duty scales vary from state to state but your Plumpton real estate agents at Hilton Parkes Real Estate will happily explain what is applicable in your home state. Prepare a short list of preferred properties that suit your lifestyle, bearing in mind affordability and accommodation requirements. Have a short list of suburbs you are interested. You can establish an idea of where you’re likely to find an affordable house for sale in Plumpton by looking at the price ranges of properties for sale in different suburbs. Check the real estate sections of newspapers, magazines and websites etc. Ask help from your Plumpton real estate agent to know more places where you can look for property. Be flexible with your expectations. Units and townhouses are available in many areas at lower prices and could provide a feasible market entry point. Ask your agent to research the sales in your preferred suburbs. Hilton Parkes Real Estate can provide you details regarding their recent sales. 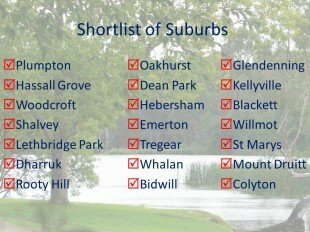 This will give you an idea on the selling prices within your preferred suburb. Inspect every property in your preferred suburb with your Plumpton real estate agent so you have a feel for the prices. Attend all open homes in the area. Aside from basics such as the suburb and number of bedrooms, you may want to consider, depending on your circumstances. For example, is the property within walking distance from schools, shops and transport? Is there off-street parking? Does it have a sunny aspect? Use the email alert feature on the Hilton Parkes Real Estate website to find properties listed. 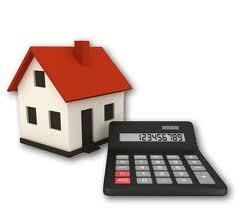 You’ll be asked to provide a price range and your ideal property location. Providing this information helps narrow your search, ensuring you only view properties matching your criteria. Your real estate agent in Plumpton can help with this as well. Found a place you’d love to call home? Once you and your Plumpton real estate agent have considered other comparable properties, take a deep breath and make an offer! Avoid the temptation to make an offer before your finances are arranged and approved. Even though you may wish to secure the property, it’s safer to talk to your lending institution first. 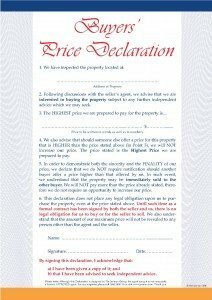 Once your offer has been accepted your solicitor will arrange for a copy of the contract of sale for the property you choose. You should then review and ensure that you are satisfied with the terms and conditions of the sale are reasonable and that you are in a position to meet those terms. Following your solicitors or conveyancer’s advice conduct a building and pest inspection to make sure you are aware of any major defects and pest concerns e.g. 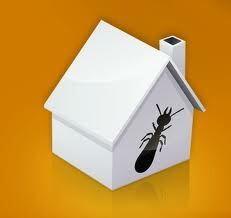 : white ant, termites and what they might cost to fix. You are now able to make an informed decision to proceed with the purchase of the property with help from your real estate agent in Plumpton. Once negotiations have been finalized, you will be required to sign the sale contract and pay a 10% deposit. Your deposit will be held in a trust account until settlement. Contracts will then be unconditionally exchanged. Stay in close contact with your legal representative when planning removal van booking times. It’s crucial that your belongings will be delivered to your new home at a time that fits tightly with the legal process. Your Plumpton real estate agent cannot hand over the keys to your new home until instructed in writing to do so by the vendor’s solicitor. This can cause difficulty if you have moved out of your current residence and settlement does not proceed as planned, causing delays. On settlement day it is advisable that you and your agent do a final inspection of the property before settlement takes place. This is to ensure that the property is in the same condition as when you last inspected it and that all the inclusions are as per the contract you signed. Once contracts have been exchanged, your legal advisor or conveyancer will manage the rest of the transaction through until settlement. It usually takes four to eight weeks from the exchange of contracts for settlement to be completed. Until settlement, the property remains in the possession of the vendor. Your solicitor / conveyancer will advise you prior to settlement, of the exact date, time of settlement and the amount of funds that you are required to provide prior to settlement (if applicable). 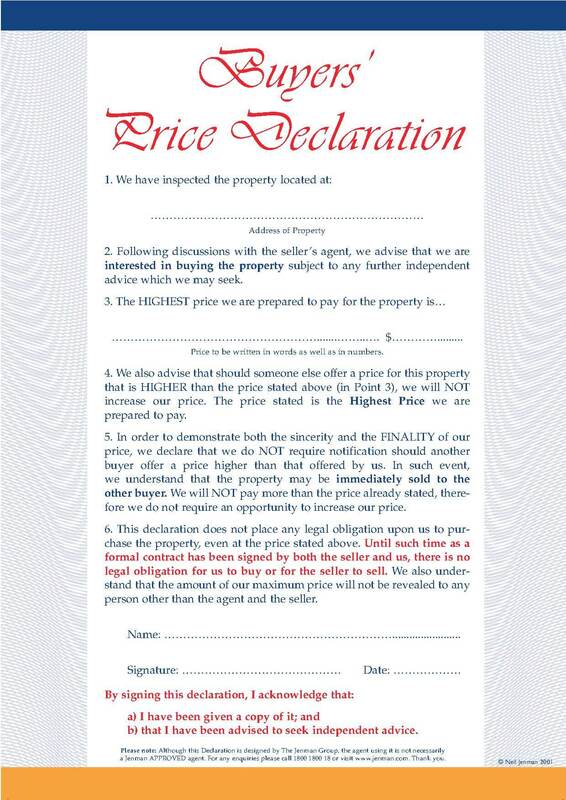 Make sure your real estate agent in Plumpton is aware of this information as well. After settlement, the vendor’s solicitor will contact the agent that sold you the property and instruct them to release the keys to the property to you. 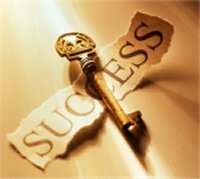 This normally occurs around one hour after settlement and the Plumpton real estate agent cannot legally release keys until ordered to do so by the vendor’s solicitor in writing. Your solicitor will contact you to confirm settlement has taken place. They will also send you a Statement of Adjustment to show you how the funds have been disbursed to all parties involved. At this point, the property is officially yours.